Go with a green alien in fast-paced, side-scrolling distance game – UFO run. As the name suggests, participating in this game, players will be alien's fellow-traveler. The dangerous mysterious castle is ahead to explore and overcome. 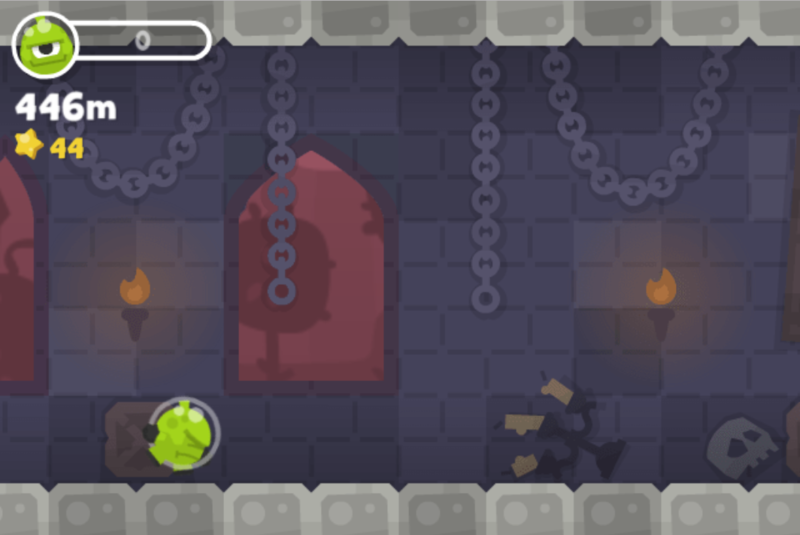 You want to find the hidden treasure, want to explore the mysterious castle, want to challenge yourself to overcome all dangers, UFO Run game is a great suggestion that I want to introduce to you on 123freegames.net. Give it a try and surely UFO games won’t let you be disappointed. Go with a green alien in fast-paced, side-scrolling distance game – UFO run game . As the name suggests, participating in UFO games, players will be alien’s fellow-traveler. The dangerous mysterious castle is ahead to explore and overcome. 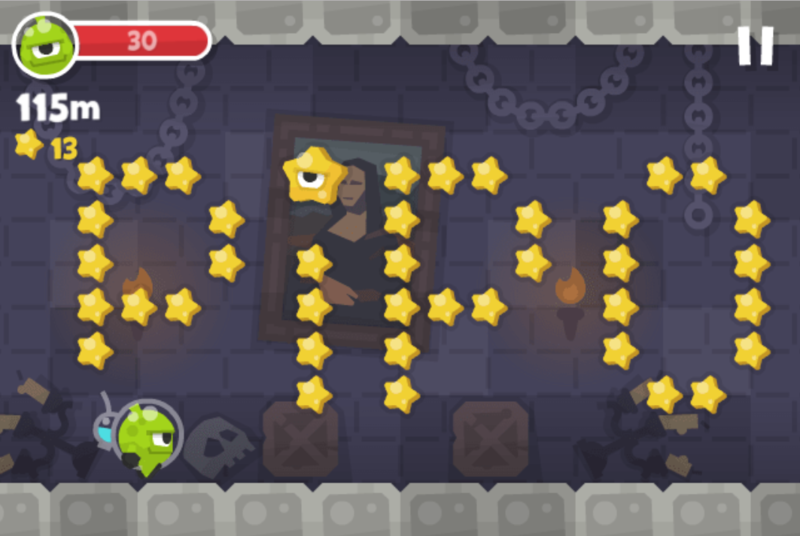 Our little friend needs to run, jump through the dark castle and collect as many stars as possible. At the same time, be care full with dreadful spikes along the way and avoid them. 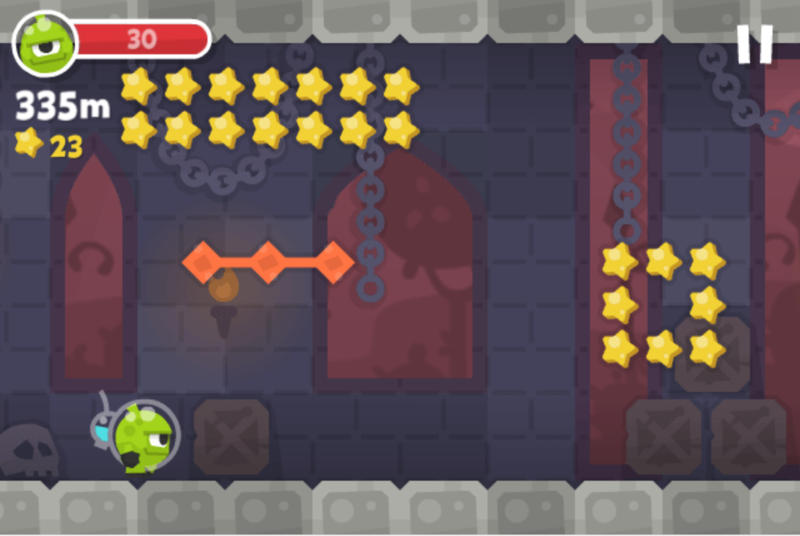 In UFO games free, try to get as many stars and points as possible to unlock treasure and set a new distance record. Don’t crash and fall into the trap. One nice thing we want to say is free running games online is compatible with all devices and browsers. Give it a try and surely this game won’t let you be disappointed. Get it and have fun! UFO run game comes with great sharp design and interface. Running games online is developed for free play in all browsers and compatible with all devices such as: on iPads, iPhones, Windows Phones and Android devices..
UFO games is suitable for all ages to play in break time. Enjoy this mysterious journey and if you find interesting, share your feeling with us in the comment box. Play UFO running games, play game online free, free running games online, UFO games free for mobiles, smartphone game, action game on 123freegames.net.